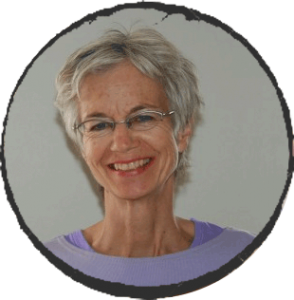 Dorothy LeBaron is a trusted personal coach and workshop facilitator based in Toronto, Canada. In both individual coaching sessions and group workshops, she uses arts-based learning and “Biography Work” to help clients find new perspectives on their personal and working lives, and provides them with tools and approaches that help them think, feel and act in creative and insightful new ways. Read more about Dorothy’s distinctive methods and upcoming workshops here, and feel free to be in touch with any questions. A respectful and non-judgmental learning environment is assured. 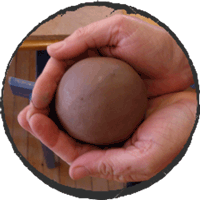 Arts-based learning engages the intelligence of the whole body. By sidestepping the reasoning mind, it provides a new path to objectivity and self-discovery. Arts-based learning is cognitive, but it is not analytical. 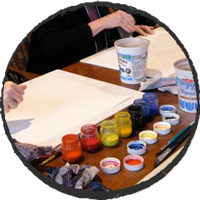 During her arts-based group or one-on-one sessions, Dorothy guides participants through a designed process that uses painting, drawing or clay modeling to shift awareness, gain insights, and reveal truths. No experience with these materials—or with “making art”—is required. The value of arts-based learning is recognized in a broad spectrum of developmental fields, including psychology, leadership training, personal and professional coaching, conflict resolution, and human development. Intuitive and qualitative skills—such as empathy, flexibility, creativity and mindfulness—can all be enhanced as you do the work. Dorothy incorporates arts-based learning into corporate workshops and individual and group Biography Work sessions. Biography Work is an experiential method of gaining a deeper understanding of your life—understanding of both specific personal events and how all the happenings of your own life fit into the larger picture of universal human development. Rooted in the understanding of humanity and human development outlined in anthroposophy—the philosophy founded by Rudolf Steiner—Biography Work has been practised since the 1970s. Biography Work is based on the belief that life is a process of growth and development in which you actively take part. Participants learn to observe their lives with objectivity and receptivity, rather than emotion or judgment—often our default reactions to events—gaining new insights into puzzling happenings, difficult challenges, recurring patterns and unexpected gifts. As a Biography coach, Dorothy deeply believes that each one of us has the potential to become more whole, more human, more creative and more essentially our true selves by observing and synthesizing what our own lives are teaching us. Dorothy coaches participants in Biography Work through group workshops or one-on-one sessions. © 2019 Dorothy LeBaron. All rights reserved.